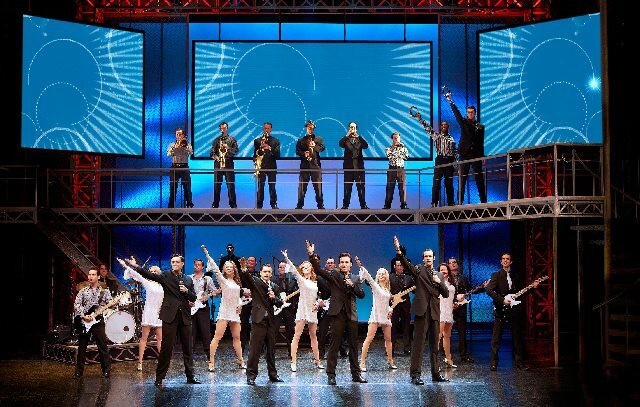 There was a reason I hadn’t yet seen Jersey Boys despite having lived in London for as long as the show has been in residence. I like the Four Seasons as much as the next music appreciator but generally speaking I shy away from jukebox musicals if I can help it. However, after finally seeing the show last week, it turns out that I was absolutely missing out. Jersey Boys is GREAT! Unlike a few other jukebox’s, Jersey Boys has a true to life and surprisingly engaging story. I was expecting jazz hands alongside some high pitch warbling’s of “Sherry,” but what I actually got was some genuinely gritty drama alongside my uplifting pop. Things were certainly not all sunshine and roses for Franki Valli and the Four Seasons, many of whom did time in jail. The struggle and determination to succeed was palpable on stage and I really felt wholly engaged in the action. One of the elements I enjoyed most in the show was it’s structure; each of the “Four Seasons” narrates one of the four yearly seasons, Spring, Summer, Fall and Winter. Narrating the band’s timeline this way was both clever and different and allowed for a pleasing equal spread of character focus; I truly felt I was able to connect with each of the band members, even outsider Tommy who wasn’t awarded his own piece. Despite being in its eighth year, the show feels fresh and the acting and musical talent on stage is still very much on form. On the evening I saw the show, Sandy Moffat played an exceptional and twinkly eyed Franki Valli, bringing his excellent vocal range to the stage. Long standing cast member Jon Boydon played an almost loveable brute of a Tommy De Vito, filling the stage with his thug like presence. Gary Watson was a sweet and simple Nick Massi and Edd Post expertly portrayed the hugely talented Bob Guadio. What struck me most was the way in which the band managed to really connect with the audience; I felt like they were really enjoying the music they were creating. About that music; wow, I never realised how great the Four Seasons were. Sure I expected to hear a few familiar songs but what I didn’t expect was to recognise every one of them! 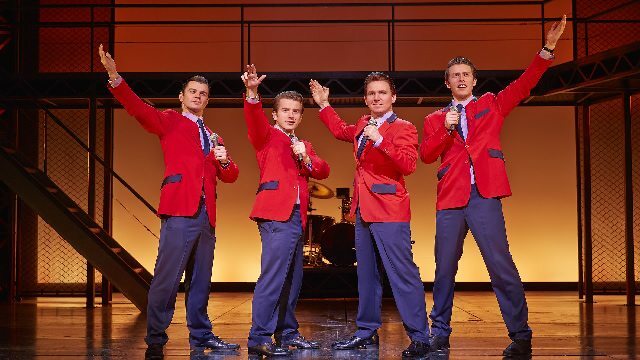 Jersey Boys is hit after hit, with numbers like “ December, 1963 (Oh, what a night)” “Walk Like A Man,” “Big Girls Don’t Cry,” and “Can’t Take My Eyes Off You.” Wham bam, thank you mam, this show sounds awesome. I implore you not to find yourself smiling and taping along. Perhaps Jersey Boys is such a good jukebox due to the authenticity of its creation; band member Bob Guadio and long standing band friend, Bob Crewe, were behind the creation of the show. Or maybe it is because the music that Franki Valli and the Four Seasons created was so good? Whatever it is, this show is genuinely really, really good. I don’t know why I shied away from it for so long!